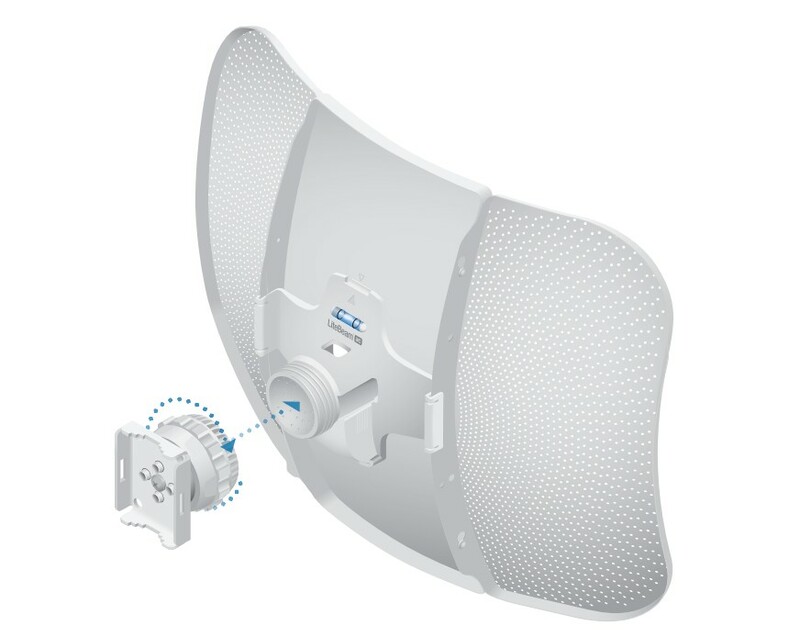 The Ubiquiti LBE-5AC-23 radio system is a high capacity 5 GHz band device. 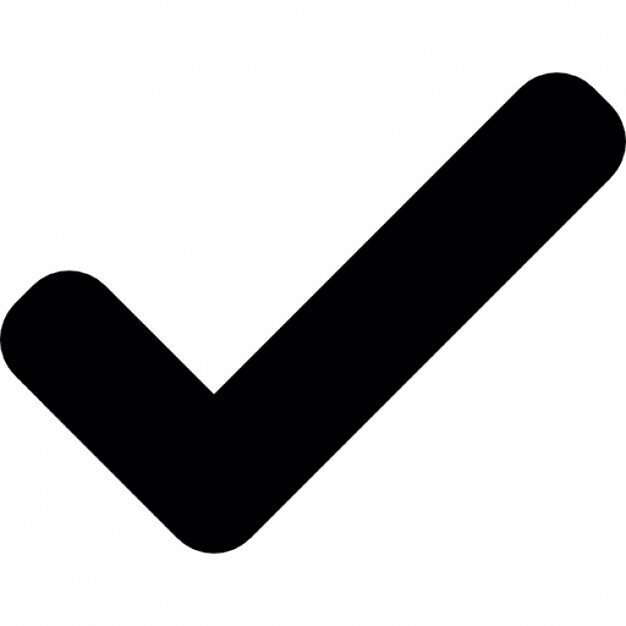 The maximum gain of the antenna is 23 dBi. The Ubiquiti LBE-5AC-23 is a complete radio system that works in the 5 GHz band and complies with a 802.11ac standard. 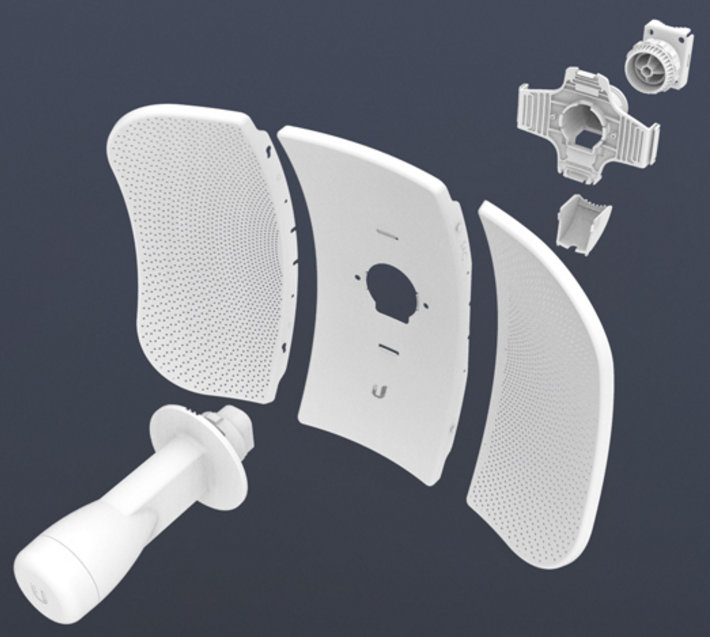 The integrated module has a 25 dBm power, the antenna has a maximum gain of 23 dBi. 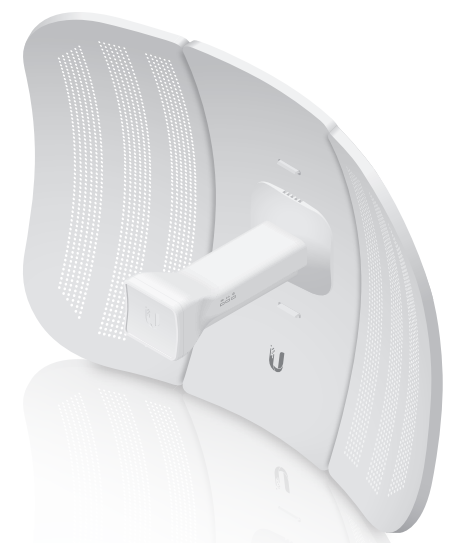 The Ubiquiti LBE-5AC-23 is a high capacity device with a good range. The combination of perfect parameters with the latest solutions leads to a high class device which will meet the requirements of even the most demanding users. Built from solid and durable components, the Ubiquiti LBE-5AC-23 boasts high resistance and thus can work in unfavourable weather conditions. It can be used at temperatures ranging from -40 to 70 degrees Celsius. 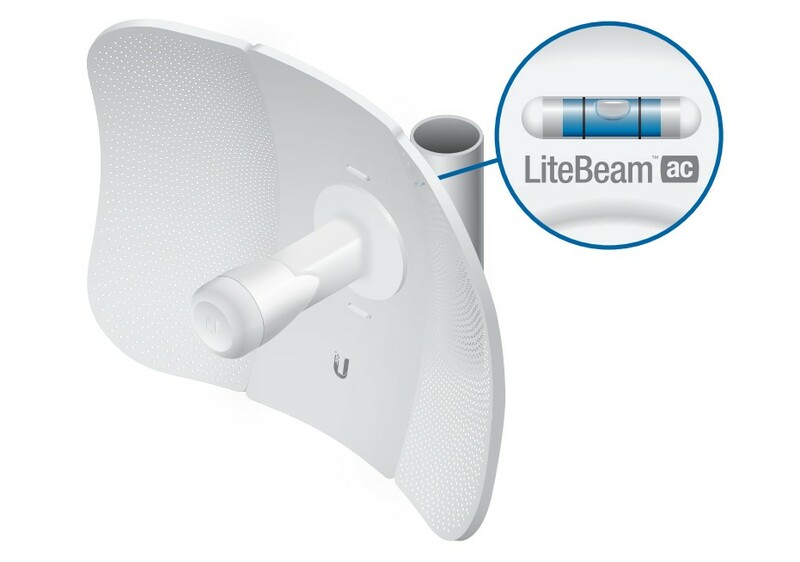 The installation of the Ubiquiti LBE-5AC-23 is easy and intuitive. The device is equipped with a round handle which facilitates regulation and setting up an appropriate angle. The LBE-5AC-23 can be used to create Point-to-Point and Point-to - MultiPoint connections where high capacity and bandwidth are required.